Are your kids lethargic these days and in need of some rambunctious play? 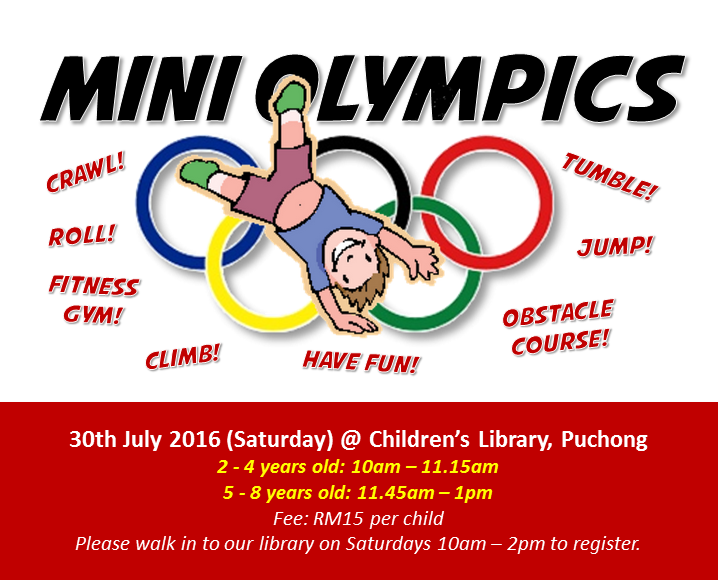 Bring them to our upcoming "Mini Olympics Playgroup" for a few hours of movement fun! Featuring safe, kid-friendly obstacle course and fitness gym. Please note the different timing for the age groups. Walk-in-only registration starts this Saturday July 9th.